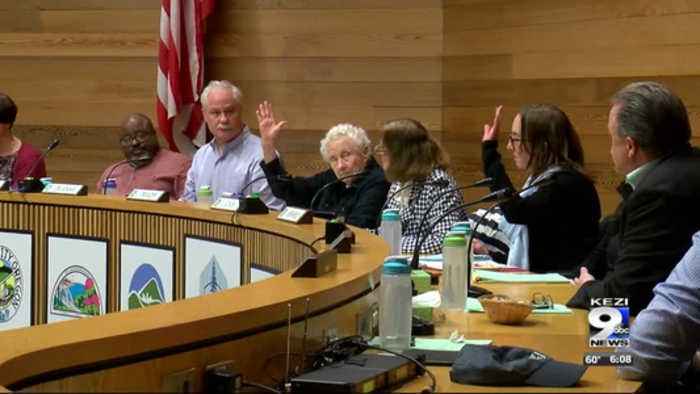 City councilors voted on a panhandling ordinance last night..
Kezi 9 news reporter tyler jones is in springfield to show us why councilors voted for and against the ordinance..
And what a springfield resident says eugene residents could do to try to help people in their area. "many residents are out or they're running out of patience." During last night's council meeting..
Several city councilors explained why they're voting against the proposed panhandling ordinance. Jennifer yeh says, "but these concerns that were expressed won't change with this ordinance, and enforcement would require our officers to spend their valuable time writing tickets, and it's just time they simply don't have." Not only did councilors claim it won't solve the issues people say they're having.. They also brought up that the ordinance might be unconstitutional. Chris pryor says, "so, we're back to what 90 percent of the emails and communications that i've had, and even conversations right up here at this table always seem to circle back to panhandling, which is a constitutionally protected action." But not all councilors were against the ordinance. "there are things we do that enable people who don't particularly want to get well to stay stuck." Tyler jones says, "though that ordinance was rejected in eugene, a similar ordinance has been in place here in springfield since 20-16. One man i talked to says he thinks it's the people, rather than the ordinance, that's made a difference in springfield." Zack garber says, "you have to break it down into smaller pieces. You can't have a blanket umbrella law that covers all sorts of situations because it never does. Garber says individual areas need to take ownership of their parts of the town..
And come together to figure out what's right for them like downtown springfield did. Garber says, "it's also been just a community effort in the way that we -- if somebody comes by or something, everybody puts attention on it and makes sure they're going to a place that's a safer environment than down here in springfield where there's shoppers and cars and all this other stuff." And so for now...the debate over what to do about panhandling and homelessness in eugne will continue. With no easy cures in sight. In springfield tyler jones kezi 9 news.